What is the Bachelor of Business in Recreation & Sport Management? The Bachelor of Business in Recreation and Sport Management is a three-year degree course, which provides students with the necessary knowledge and skills to work in the wider sport, leisure and business industries. The course is based on three pillars of sport studies, recreation and leisure and business management. Students who successfully complete this programme can progress into the level 8 Bachelor of Business (Hons) in Recreation and Sport Management (WD212). This qualification provides graduates with a business degree which extends employment options into a wider array of fields. Students complete 14 weeks of work placement in year three of the course. This provides vital real-world experience for students in their chosen area of interest while also expanding their knowledge and skill base. 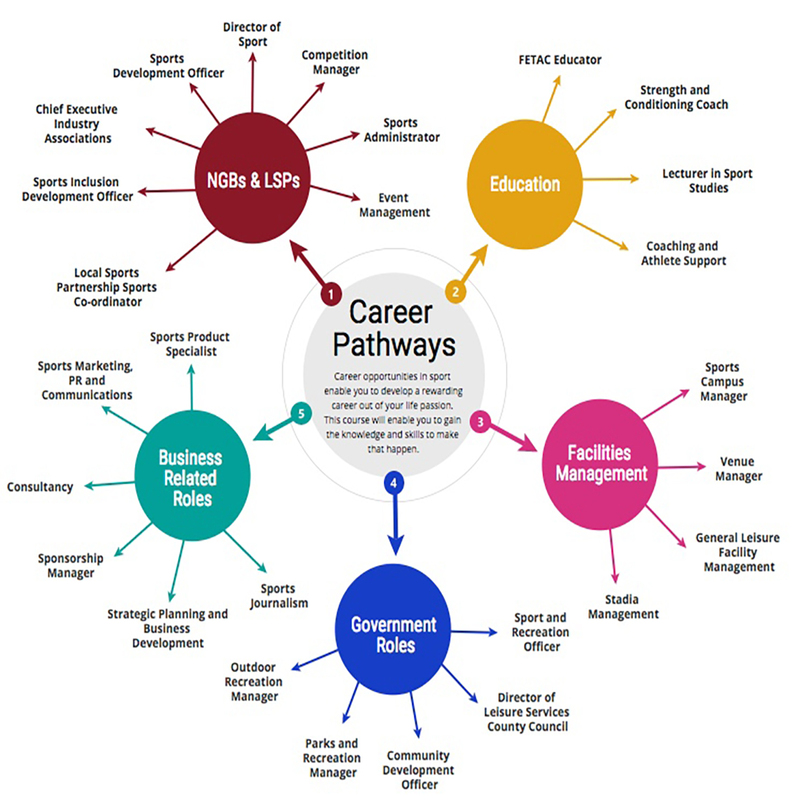 Placements can include leisure centres, national governing bodies (e.g. FAI, GAA, IRFU), local sports partnerships and national organisations (e.g. Special Olympics, Paralympics Ireland). Opportunities for placements abroad are also available. Being industry ready is a key philosophy of this sports degree. In 2nd year, students have a class free day where they will visit both local and national sport, recreation and leisure facilities throughout the semester. Guest lecturers are also a core part of learning in many modules at each stage of the course. There is a number of modules in the course with a practical emphasis. In sports pedagogy, for example, students gain the basic skills of a number of sports for the purposes of leading youth groups in a variety of sporting activity contexts. Other modules with practical components include event management, outdoor recreation, adapted physical activity and social media and digital professionalism. The practical fitness instruction stream allows students to gain professional qualifications in gym and group fitness instruction. Students can also obtain first aid, lifeguard, swim teaching and various coaching qualifications. Students have a wide array of electives to choose from. This includes modules from each of the streams (e.g. sports coaching, performance psychology, sports marketing, social media and digital professionalism, group fitness instruction, adapted physical activity). These streams allow students to progress onto modules that suit their career objectives. Students complete a research project in the final two semesters of the programme. This allows students to conduct specialist research in a niche area of their choosing. This can be done in conjunction with industry to further enhance their career prospect opportunities. A number of places may be allocated to applicants of outstanding achievement and potential in sporting activities that have reached the minimum academic entry requirements but fail to make the entry points required. To compete for one of these places, applicants must complete and return a supplementary application form before a date specified by the college (marked on the form). The college will issue a copy of this form to everyone who puts this course as one of their choices before February 1st. Sports scholarships are made available to selected suitable candidates. The practical fitness instruction modules are accredited against European Health Fitness Association (EHFA) standards, enabling students to gain access to the Register of Exercise Professionals in Ireland (REPS Ireland). Membership of REPS Ireland qualifies students to work in Ireland and abroad in many countries. Sports scholarships are also made available to selected suitable candidates. The WIT Sports Scholarship scheme offers a range of support services to successful students including financial, academic and sports science support. Scholarship students of the Bachelor of Business in Recreation & Sport Management course can gain academic credits based on their sporting commitments.